When in Nova Scotia I found that there certainly are real craft beer brewers up there, while of course in greater Canada they are even more prevalent. Up in Cape Breton in the areas of Ingonish and Baddeck I was able to find some very interesting brews made by Halifax craft brewers Propeller and Garrison. The lodges and bars/pubs in these more tourist areas typically had the golden (and lighter!) lagers, though the Keltic Lodge offered a house brew of Garrison Ale, which turned out to be a robust red ale with lots of flavor. It went great with the surf and turf and really stood up to the shellfish that was so common (and delicious). 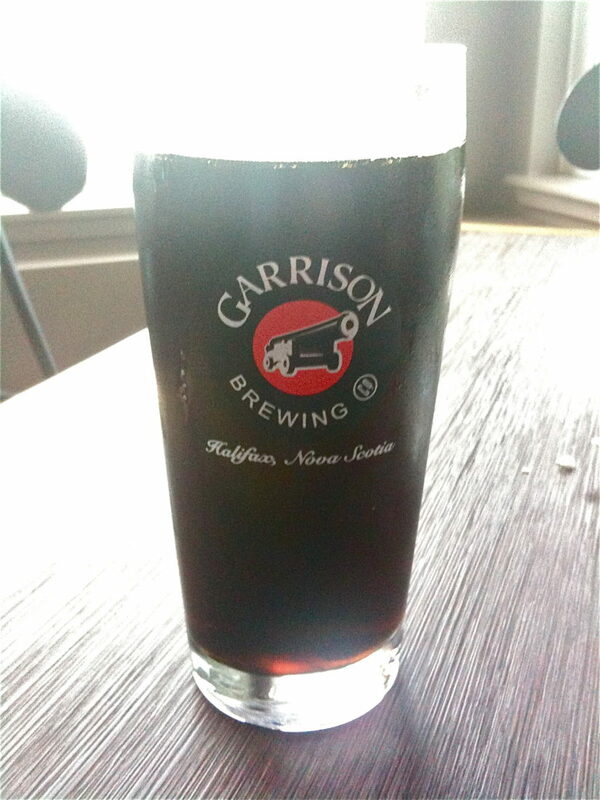 Established in 1997 in Halifax, Garrison offers a number of fine ales including “Hop Yard” which uses hops they planted themselves at a local Farm Museum. They also feature a jalapeno flavored ale in their line up – I am thinking this is good for the long the NS winters. 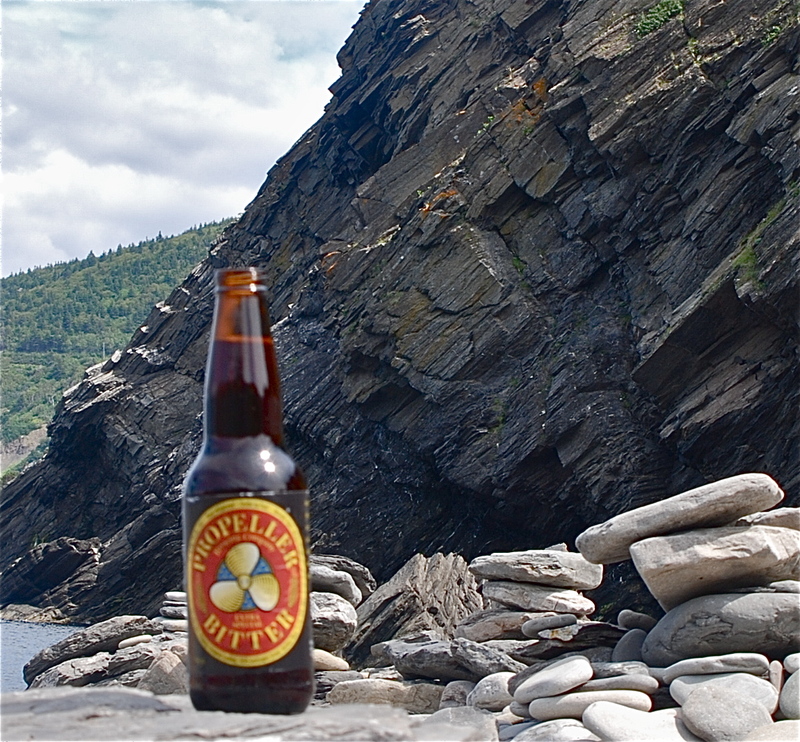 Propeller was introduced in 1997 as well (a good year for Nova Scotian Beer Appreciators!) and while the ship propeller is the logo, the name apparently came from the fact that the owner was a “prop master” for films and TV as well as a home brewer. I found their ESB to be surprisingly bitter (and yet well balanced) and thirst quenching on a hot day at Meat Cove. (So named as fishing fleets used the cove to come ashore and hunt moose). Later at a restaurant in Halifax I enjoyed their hop-head’s delight IPA. They also offer London Porter (which has won awards), Bohemian Pilsner and a host of other styles. These two breweries were not the only craft breweries in Canada or Nova Scotia for that matter, but they offered some great accessible local brews – which is what Beer Appreciation is all about! I also did find myself at a great beer bar in Halifax called “Maxwell’s Plum” which offered “private bartenders” which are sort of extra large pitchers of draft beer with a tube of ice down the middle and a tap on the outside. Saw more than a few of these go by as I tried some wonderful Brasserie Dieu Du Ciel beers in the bottle – really remarkable beers from Montreal – “Corne du diable”? Nice IPA – much flavor, 5% ABV…And a great Rye Ale. Anyway, really great beers in Canada, no matter what they say in the South Park movie, I say go to the great white north, avoid the lagers and indulge in the ales.